Clean and simple style for nurseries is the way to go in 2019. The trend for neutral tones and wooden furniture is here to stay. 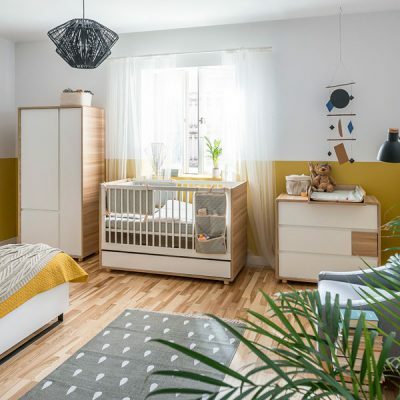 As modern thinking goes, many parents are ditching the traditional pink-and-blue décor for gender-neutral nursery design. It makes sense really: why encode a gender formula on a tot that hasn’t had a chance yet to form their own impressions about the world? Play it progressive like the modern family you are with our gorgeous Vox Evolve Nursery Furniture Set, creating a blank canvas that your baby can stamp its own personality on. Summer is a great incentive to bring a love of the outdoors inside. 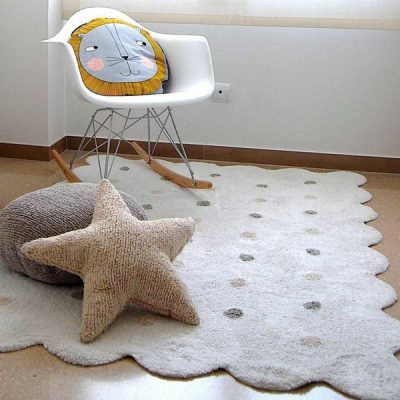 Bring a touch of the orient to urban living, to give your room boundless amounts of innocence and zen. Backdrops such as Water Lily Wallpaper from Hibou Home, with its dainty depictions of insects and plant-life, do the job perfectly, especially with a mint-green hue. It’s good having somewhere to relax and admire your little one during those precious midnight feeds, so get comfy in a nursing chair that will become your favourite feature of the baby’s room. 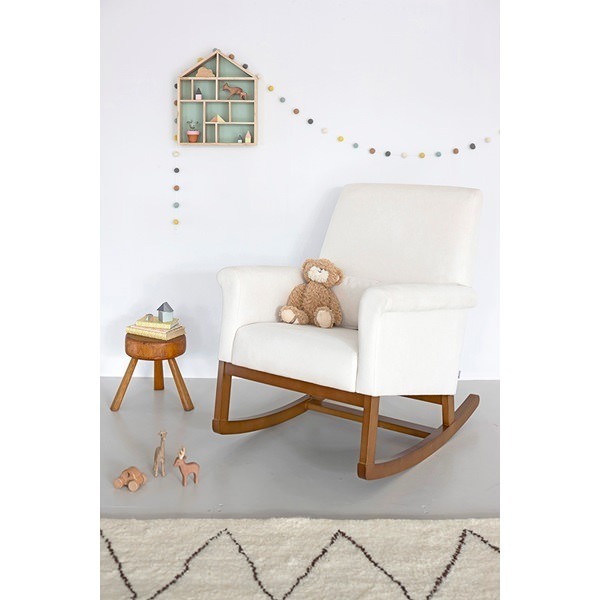 Invest in a plush, modern Mo-Ma Glider Nursing Chair, or choose an old-school alternative like the Ro Ki Rocker by Olli Ella. 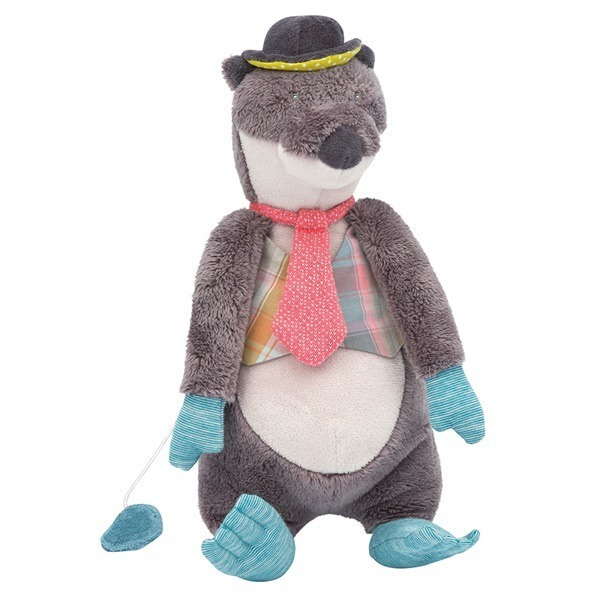 Packing away baby’s knick-knacks will obviously lead you to wardrobes and dressers as a main storage solution. However, you can let the breezy attitude of the summer months into your nursery by going for a lightweight option that’ll look great in full sunlight. Oliver Furniture have a range of Storage units that’ll do the trick – they’re handsomely made, bright, and entirely suited for times when mess needs a quick clean. Oceans of summer clouds can seem like great big marshmallows that your baby will be itching to touch. 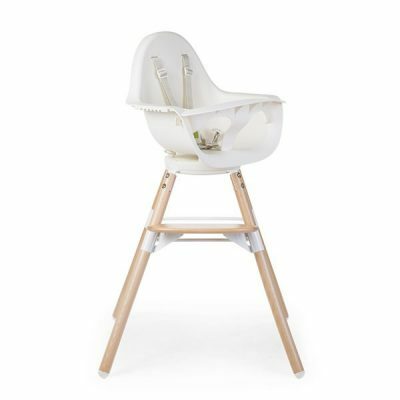 Make that slightly easier by choosing a high chair that’ll inspire them to reach for the sky! 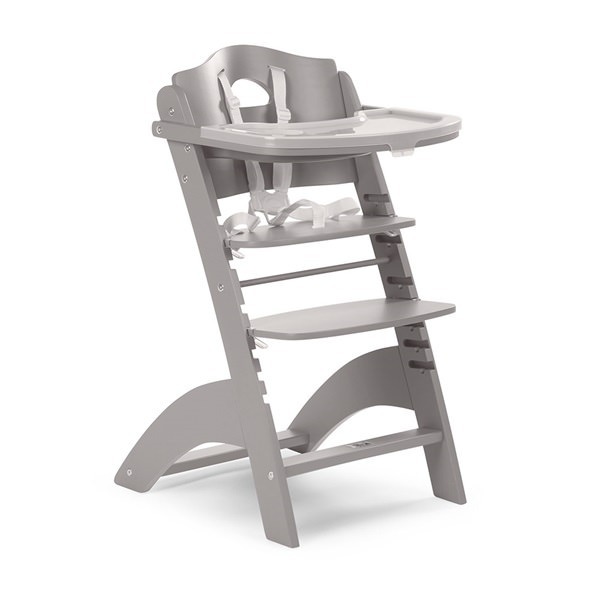 We recommend the 2 in 1 Evolu One 80º High Chair from Childhome. This contemporary seat for your little sweetie, has an adjustable design that makes it suitable for children up to the age of 6. What’s more, the ingenious 2 in 1 Evolu One 80º High Chair features a swivel chair, that can be positioned in three different directions! Certainly in vogue right now, wooden furniture has staged a comeback into the hearts of mums and dads around the world, and the season is an awesome chance to show off the naturalism of a finely crafted wooden piece. Take a look at our Expanding Cot Bed in Beech by Sebra, a stunning base for your tot to dream the night away. Danish designed, Sebra not only produce beautiful collections, they have a set of core values that set them apart from many businesses – with part of its production being organic, they support local initiatives socially and environmentally. 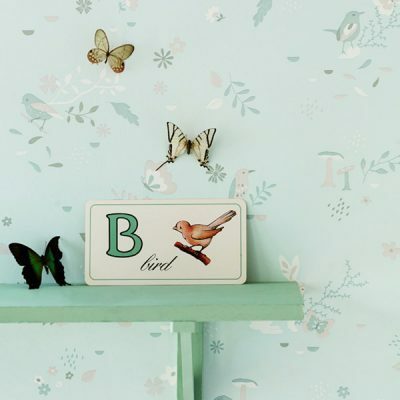 Soft colours are the go-to palette for nursery décor, but pastel is currently experiencing new levels of interest from style-conscious parents. We don’t blame them – creative use of pastel shades guarantees a happy baby burbling to contentment. 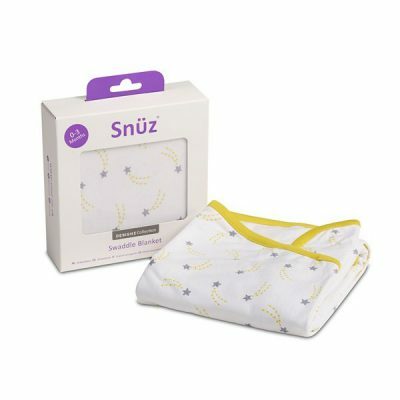 Snuz come up trumps with their Swaddle Blanket in cloud nine design. The aesthetic continue throughout the whole Snuz blanket collection, which will swathe your little one in physical and visual comfort. Following the train of thought from above, a relaxing atmosphere really takes precedence at this time of year. The days are long, meaning your baby is likely to find sleep more difficult in comparison to other seasons. The Baby Organic Wool Cot Mattress, courtesy of The Little Green Sheep, is ideal for retaining a dry and decadent slumber. It’s manufactured without chemicals so your babe can have an organic rest whenever they choose. 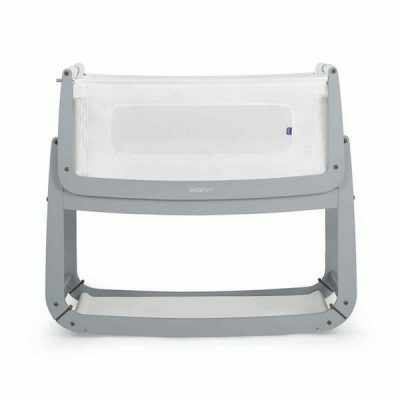 Its the perfect accompaniment to the Snuzpod, the award-winning 3-in-1 moses basket and crib which provides a safe alternative to bed sharing or co-sleeping, without losing any of the benefits. 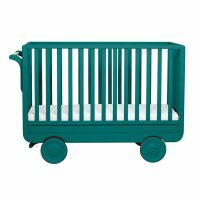 Having quality furnishings to carpet the rough and tumble of growing bodies is a must for any nursery. With the sun alighting everything we see, it’s hard to go wrong with a Lorena Canals Biscuit Washable Rug. The soft tones and textures will brighten the horizons of your baby’s first steps, in addition to feeling simply divine under your toes. 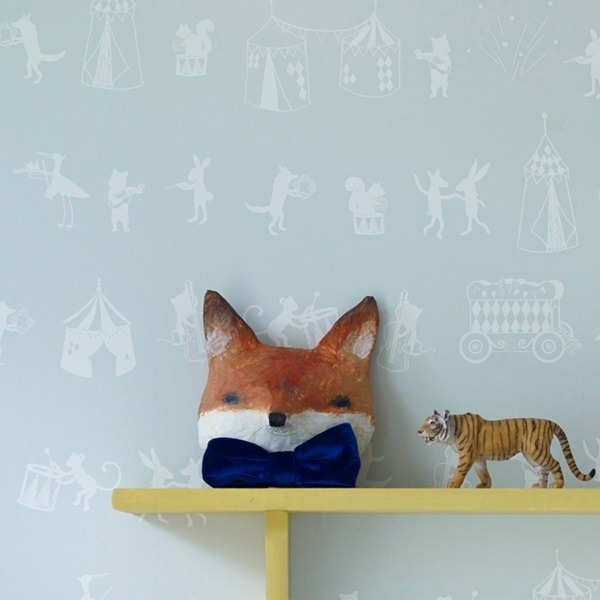 Scandinavian inspiration continues to play an important role in children’s interiors throughout 2019. Light Nordic colors combined with natural materials such as oak, birch and leather can be found in the design of one of our favourite Scandi brands, Oliver Furniture. 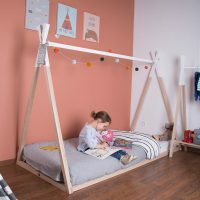 Drawing on inspiration from casual, easy going summer life, Oliver Furniture fuse nature, warmth and nostalgic charm in their designs to create a children’s room that is both modern and cozy. 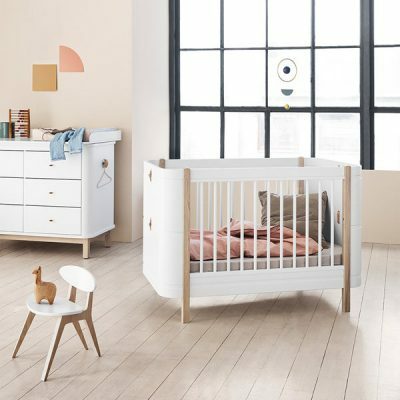 Building a stylish nursery for your baby’s first summer should be an easy and enjoyable task, so look no further than Cuckooland to find the latest trends for nursery décor, friends. 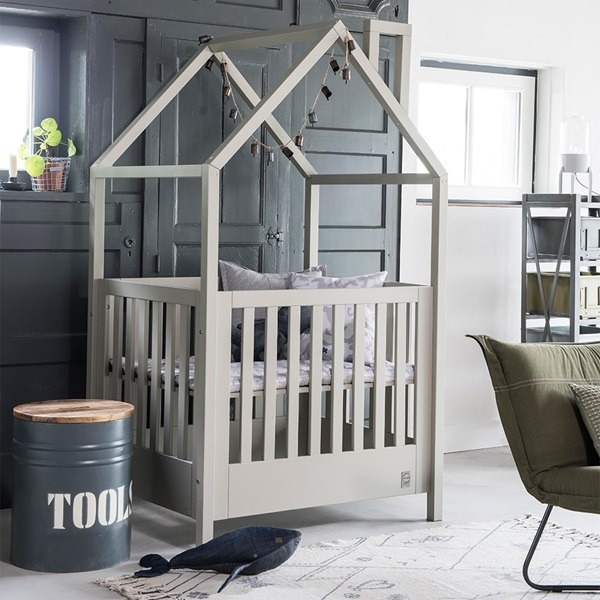 Let your imagination run wild with these suggestions as you browse our full nursery furniture collection and give that ray of light in your life a suitable place for a sunny attitude to greet them and never let go.